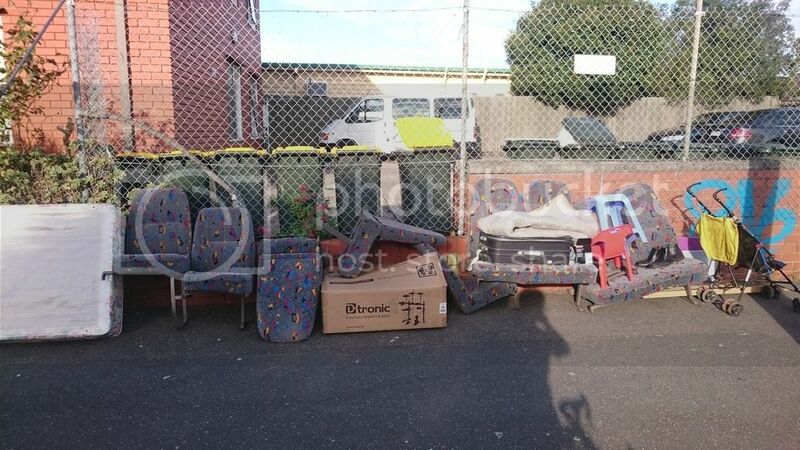 There are some good looking seats on the street that have been taken out of a Coaster bus in Coburg. I have some in the workshop, but I paid money for mine. I did need to bolt my own base on, cos they don’t sit flat on their own. Oh man, the month leading to hard rubbish day. How many people still own CRT tv’s and why are they only now throwing them away?? How many people still own massive rear projection tv’s and why are they only now throwing them away?? either these are already gone, or i rode past them without noticing… either way im interested. The Fresnel lens used by rear projector TVs can be used to set things on fire. I suspect that it’s the key reason those TVs disappear so quickly during hard rubbish throwout. could you use a fresnel lens to set bus seats on fire? I’m just trying to tie things together here. The Fresnel lens used by rear projector TVs can be used to melt metal. I suspect that it’s the key reason those TVs disappear so quickly during hard rubbish throwout. That video was crazy boring up until about minute 5.
seats are still there. i didnt have time nor cargo capacity to retrieve them.